Recruiting great fundraisers is challenging, we know that. It can take months and several reposts to finally find the right person for the job. Many hiring managers are exhausted after the recruitment process and happy that the hardest part seems to be over. Far from it. You want to ensure that the relationship starts off right and continues to be a positive and effective one. That’s why onboarding, the process where new employees get equipped with the skills and knowledge they need to be successful in the new environment, is a crucial part of talent management. Helping a new colleague understand the cultural nuances and expectations is an important part of this process as well. 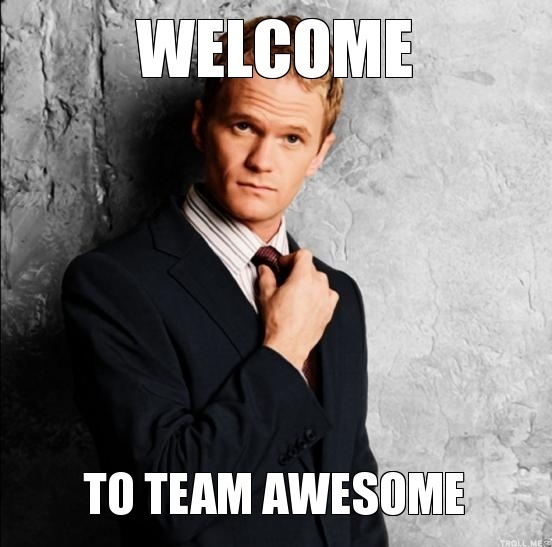 The onboarding process should not start when the new team member shows up at work on the first day. Open and (reasonably) frequent communication right after an accepted offer will help make the transition easier and the first few days less stressful. While the first weeks are critical in the onboarding process, the learning experience shouldn’t be over after that. Smart organizations have ongoing, long-term strategies in place that continue to encourage a smooth and effective transition as well as professional development. Start communication well before the start date in order for the new employee to know what to expect in the first week. I remember starting a new job where half of my morning on day one was spent on filling out forms. Another employer had me do that beforehand; HR sent a package and asked me to fill out the forms and return them. Easy! One fundraiser told me the scary story of arriving at work and nobody expected him. Somebody got confused and there was nobody to greet him, show him his office, nor give instructions. His supervisor was not onsite that day either. You don’t have to go overboard but I know some organizations that have company swag, chocolates, or flowers waiting to greet the new colleague. It’s a nice touch. It is also a nice gesture to organize a lunch, either with the team or only with the supervisor. What matters most is that everything is ready, the office is good to go and not under construction (yes, I have come across this too), that there is a computer and all the other technology needed to do the job. Some organizations have someone tasked with the job of developing a schedule for new employees. This way there are no surprises and they know what is happening in the first few days and weeks. An initial orientation is crucial. Here, the new employee is introduced to key colleagues, senior management, gets an overview of the organization, its structure and inner workings. There should also be a training and learning element of the key functions needed to perform the job. This is not to be confused with mentoring programs. A buddy is not necessarily someone more senior to learn from (or job shadow) but a go-to-person for questions such as ‘where would you take a donor for lunch?’ or ‘how do I properly do my expense claim?’ This person will also be able to teach the new colleague much about the cultural nuances of the organization and maybe explain the do’s and don’ts in a casual, non-threatening way. Something that has always helped me in new environments were personable, approachable people who didn’t make me feel stupid for asking questions. This is more complicated to put in place than a buddy system because you will have to find the right person to team up with the new employee. A mentoring program should be more structured and formal and include learning expectations and responsibilities on both parties. Mentoring internal to the organization is great because the information learned is directly relevant to the particular shop; but there are also some great external mentoring programs that your organization can refer new employees to (AFP Vancouver Mentorship Program). Some organizations are better resourced than others but even the smallest shop can apply some of these strategies to ensure that the honeymoon phase lasts longer than a week! Previous PostYour Comms People Are More Than Publicity AgentsNext PostFundraising as a Second Career – I Did It!